Spinning Music’s Top 25 Cycling Tunes of 2012! What a year 2012 was! This little blog collected some 860,000 views in 2012, pushing it past 2,000,000 mark since its inception in May 2008. Readers from 184 countries dropped by for music ideas and advice – that’s more than 90% of the countries in the world. Crikey, I’ve only visited 18 of them – I’d better get going. Props to Dana, BAR, Wilma Perez, Brenda T and Steve at Stevespinlist for being the most active commenters of 2012 – thanks to each of you for your many contributions. I’d also like to send a huge shout out to the sites that sent the most traffic over: Spinning Mixes, The Sufferfest, Facebook, Pinterest and Chrispins. Everyone knows Facebook and Pinterest, but if you haven’t checked out Spinning Mixes, The Sufferfest and Chrispins, you’re missing out. 1. 50 Ways to Say Goodbye – Train. I liked Drops of Jupiter, but you can’t cycle to it. This tune, though, became my favourite of the year for it’s heart-pumping, quad-pushing chorus. How can you not dig deep and find just a little more energy when you hear this one? Love, love, love it. 2. Call Me Maybe – Carly Rae Jepsen. Unquestionably the song of summer 2012. I use the original as a warm up or for jumps; the Manhattan Clique Remix is perfect for climbing and it’s peppy pop perfection distracts from the fact that it’s one hell of a six minute hill. 3. Somebody I Used to Know (Tiesto Remix) – Gotye. Inexplicably absent from the ‘best of’ lists I looked at (but nominated for two Grammys!) this breakout hit has more than 366,000,000 views on Youtube and reached #1 in the USA, UK, Australia, Canada along with 22 other countries, and was a top 10 hit in 30 more. I love it as a climb, in or out of the saddle. 5. Don’t Wake Me Up – Chris Brown. Pure sprint interval bliss. 6. Die Young – Ke$ha. Climbing, jumping, whatever you do to this song, you’ll be humming it on the way out of the gym. 7. Gangnam Style – PSY. It collected 1.1 BILLION Youtube views and you can cycle to it. What more can I say? 8. Babel – Mumford & Sons – A glorious seated climb, this song debuted at #1 in the UK and on the US Billboard Chart. Celtic music is enormously popular in Nova Scotia. 9. Breakn’ a Sweat (Zedd Remix) – Skillrex and The Doors. I use this one as a warmup or a combo surge/climb. Bonus points for the title. 10. Rumor Has It – Bump n Grind. Some readers are going to want to pelt me with eggs for skipping over Adele for an unknown cover band, but dammit, Adele is hard to cycle to and this extended cover is true to the original and rocks. (Surely that IS Adele on vocals?) Plus, Adele’s CD 21 doesn’t qualify for the Top 25 list because it wasn’t released in 2012. 11. Pound the Alarm – Nicki Minaj. Had to buy this one twice, ’cause the explicit version is, well, explicit. Works for jumps or climbing. 12. I Cry – Flo Rida. No doubt about it, Flo Rida records catchy tunes and has a real knack for sampling. Rolling hills, anyone? 13. Mighty Love (Instrumental) – Eric Prydz. A perfect climb/surge combo song. 14. Locked Out of Heaven – Bruno Mars. It’s The Police! No, Bruno Mars! Two juicy sprints in this one. 15. Amnesia (Radio Edit) – Ian Carey and Rosetta. This is the other male/female accusatory duet of the year (the other one being Gotye’s Somebody That I Used to Know.) Amnesia reminds me a little of Timbaland’s The Way I Are, but I like Amnesia better. You can use it as a straight climb or throw in some sprints. 16. Hall of Fame (feat. will.i.am) – The Script. If I could only cool down to two songs this year, I’d be happy with Some Nights and Hall of Fame. 17. Never Close Our Eyes – Adam Lambert. I think my favourite part of this song is the build right before the chorus. I always coach the riders to slow and wait…wait….wait and then explode into the sprint. 18. Don’t Stop the Party – Pitbull. Who has more fun than Pitbull? Jumps! 19. Blow Me (One Last Kiss) – P!nk. My favourite part of this sprinting tune is that I coach the sprints as 30/30/60 but secretly, they are 33/33/1:07 so I extract an extra 13 seconds of work from my riders. I generally confess and get some wry laughs when the song ends. 20. Good Time – Owl City and Carly Rae Jepsen. Perfect warmup energy. 21. The Veldt – Deadmau5. Whether you go with the radio edit at 2:50 or the “8 minute edit” that clocks in at 8:39 or an even longer edit at 11:32, this song is perfect for warming up, zoning out with a long tempo drill, or even a combo climb/surge. Feel like throwing in a few jumps? Those work, too. One of the most flexible songs of the year, I’m still thinking of things to do with it. 22. Sweet Nothing (feat. Florence Welch) – Calvin Harris. One of my go-to zone out songs for the year, it’s so easy to close your eyes with this one and just ride. 23. Body Work (feat. Tegan and Sarah) – Morgan Page. 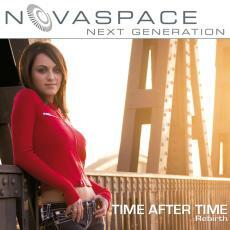 A great climbing or tempo tune from this Grammy-nominated American DJ. Bonus points that the lyrics talk about “my pulse working overtime…” I heard a fast remix on a local radio station and I’ve been scouring iTunes to find it – so far to no avail. Anyone know it? 24. Home – Phillip Phillips. I’ve used this song for cool downs but I think it would work just as well for a tempo run. 25. Kiss You Inside Out – Hedley. These Canadian alt-rockers have mastered the urgent power ballad. I use this versatile tune for climbing, jumps, warming up, single-leg training…. A few more songs that came close, but didn’t quite make the cut… Don’t You Worry Child by Swedish House Mafia, The House that Heaven Built by the Japandroids, Turn It Up by Kardinal Offishall, Carry On by Fun, Red and We Are Never Ever Getting Back Together by Taylor Swift, Whistle by Flo Rida, Part of Me by Katy Perry, Let Me Love You by Ne-Yo, Karma by Kristina Maria, The World is Ours by Eleven Past One, the recent remake of the classic Cyndi Lauper tune True Colors by Artists Against. There are a few other great songs that didn’t qualify because they were released in December 2011 but didn’t hit my radar until 2012: Wild Ones by Flo Rida, Titanium by David Guetta, and Everybody Talks by Neon Trees. So, what do you think? Did I get it right? Any unworthy choices? Any egregious omissions? I was reading the free local Metro News today and came across journalist Jessica Napier’s description of indoor cycling classes: She says they’re “kind of like burning calories in a night club except you’re pedalling instead of grinding and that water you’re chugging down doesn’t have any vodka in it.” I never thought of cycling classes this way, but I will admit that when I do get to a nightclub (which is about once a year these days) I become an excited geek because I know all the songs. So maybe the parallel with clubbing isn’t off-base after all. I’ve sent her a note and her prize will be on its way as soon as she sends me the particulars (item, size, colour) at spinningmusicblog@gmail.com. Thanks to everyone who took the time to post their all-time favourite cycling song. I’m going to compile all the entries from this contest and the 1,000,000 views contest on a new page in the blog – think of it as one-stop shopping for the very best cycling music. My gym’s winter schedule starts tomorrow and I’ve got three weekly classes (Tuesdays and Thursdays at 9:15 a.m.; Wednesday nights at 5:30 p.m. Doesn’t sound like a lot but I work full-time and have a toddler at home, so time for me is at a premium.) I can’t imagine a better way to spend it than on the bike. 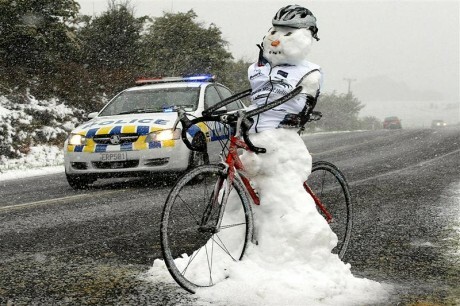 Happy cycling everyone! And if you’re ever near Halifax, Nova Scotia, I’d love to meet you. Come on out for a ride. Chris Roche is a fitness professional with more than fifteen years of experience. He belongs to an elite group of fewer than 60 Schwinn Master Trainers worldwide and is certified by CanFitPro, the American Council on Exercise, and the American Academy of Health, Fitness and Rehabilitation Professionals (among others). He is also a Master Trainer for Tabata Bootcamp. (You can find a more detailed bio here.) Chris and I sat down to chat on December 10 via Skype. My questions for Chris are reproduced in bold. Where the question comes from a reader, I’ve indicated his or her name. Where no name is listed, the question is mine. Chris’s answers are listed below each question. I took notes as we talked but I didn’t record the interview, so I’ve paraphrased and condensed his answers rather than offering direct quotes. Any direct quotes I do use are enclosed in quotation marks. What are the secrets for taking on a class and growing it to maximum capacity? How do you fill the last few bikes? Stay in touch. I create a contact list and ask riders to give me their e-mail addresses to receive updates. I also use Twitter and Facebook. I explain the next month’s ride in advance (usually at the end of the previous month). Typically I focus on the training intensity, so people can choose whether to come out based on how it fits into their training. I encourage people to bring a friend to class. I also encourage people doing weights to come on in for the warmup, or just the initial part of the class. Often, they’ll stay for the whole thing. Give riders complete permission to have fun – it’s their ride, they’re the boss. If people like you, they’ll come back. I also make a point of introducing beginners to a regular in my class. Every instructor wants to see people lined up out the door for their classes. What are the common attributes of the instructors who generate this kind of following? Chris: First, these are people who’ve been working at their craft for years. They’re involved. They know their riders and make them feel confident. Always create an environment for success. It shouldn’t be intimidating. Arrive early and help with set up. Plan your classes well in advance – not as you’re walking from your car to the studio. [Cynthia: None of my readers do this, right?] Arrive with a fully planned class and playlist in hand. I pick up regular riders with some frequency. I’ll see them every week for a long time, but after 6-12 months they’ll drift away and I’ll only see them occasionally. Is this just the way of things or is there something I can do to keep them? Chris: There is attrition over time. Keep saying hi when you see them, check in with them from time to time via Twitter or Facebook. Just stay in touch in a friendly way. My classes are made up of about 50% regular riders and 50% drop ins, so I almost always offer an interval ride. Is there a way to incorporate some elements of periodized training into my classes? Chris: I plan my classes monthly. Every class I do that month is the same profile with the same music. My regulars know what to expect and can alter their training accordingly. I offer choices to drop in riders: “Can you work harder?” If not, that’s okay. [Cynthia: See Ann? You’re not the only one!] I start in January with an endurance class to build a strong base. February moves into higher-intensity training and in March, I use an interval class. Using the same class for a month allows riders to focus on their progress. I don’t find that people ask for more variety. Other exercise and nutrition programs don’t change weekly. From Marianne: How do you motivate riders to push each other forward? Chris: Have riders high five the person to their right and left to encourage each other. From Kate: What are some encouraging things I can say to motivate my class to give their best performance? From Ann: Do you have any advice for coaching a heterogeneous group of riders (high school to mid-80s)? They don’t use heart rate monitors. People will work harder if they know an interval is short. I always tell them how long an interval will be. Chris: Yes! I’ll send one along to Cynthia. [Cynthia: Here it is (in Word format): Chris Roche Ride and as a PDF (header cut off): Chris Roche Ride]. Chris: I think it’s important to know your riders. Beginners need lots of permission to do their own thing. I spend most of my classes in Zone 2 and Zone 3 – mostly Zone 2. If you use Zone 4 too much you need lots of recovery time. The latest thing in exercise is high intensity interval training (HIIT). How would you incorporate HIIT into a cycling class? Chris: In a true Tabata class, you do only one set. I’d start with a really good warmup for 10-15 minutes using differing intensities and positions. To incorporate high intensity intervals, you could do 20 seconds of hard work followed by 10 seconds off. Repeat eight times for a total of four minutes, then recover. Giving appropriate recovery is the most important thing. If you’ve gone anaerobic, you usually want to offer at least a minute of recovery, but there’s no rule of thumb for how much recovery time to use. You might plan to use two minutes and then modify as you go. I like to ask my riders, “Are you ready to work again?” How can you be confident they’re ready if you don’t ask? The rest of the class would involve only Zones 1, 2 and 3. You can ask people to hold Zone 3 for 1-2 minutes, followed by recovery. (Some people can sustain 3-5 minutes in Zone 3 without going breathless.) Ask “how long can you go and still have a sprint in you?” You could design a whole class around the concept of ‘peak and sustain’. High intensity intervals aren’t appropriate for everyone. You can suggest that people skip one or more of them if they don’t feel ready to do them all. Anaerobic is a window of opportunity, not a unit of time. Riders should push for as long as they can, then back off. The interval is as much as they can do. From Kees: What music do you use? From Marianne: Are you on Spotify? What’s your handle? How do you choose music for a ride? Chris: Totally by feel. Be brave. Go past top 40, the stuff everyone is playing. Go past your own musical tastes. Find a unique remix, explore a different genre. Try something totally experimental. My friend Ava uses polka music in her classes and wins instructor of the year. If I tried that, I’d be strung up. Listen a lot and Shazam everything. Having a signature musical style will definitely draw people to your classes, but eventually even those who love your genre will want a change. When I plan rides, they don’t change much but the music does. Sometimes I’ll use the same ride with completely different music a year or more later. You can recycle a previously planned ride with new music and the ride will feel different. What’s your favourite indoor cycling song? Chris: A remix of Silver Strand by the Corrs. Do you have any tips for assisting with bike set up? 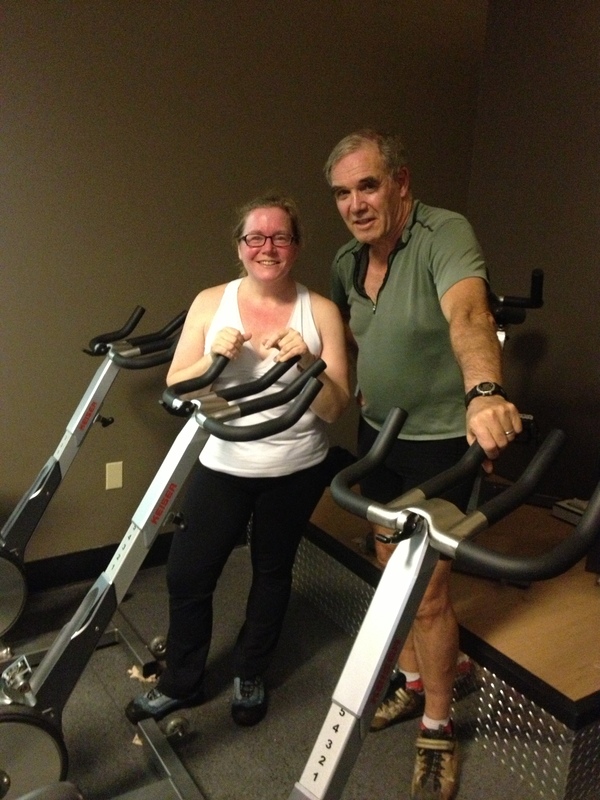 I trained one of my regular riders and now she helps me do bike fits at the outset of class. From Marianne: If you are subbing a class and you see some contra-indicated moves, do you correct people, or just explain why you’re doing something a certain way? The other thing I’ll do is call out people for doing something right. I’ll get everyone to look at how they’re doing it. You must get asked the same questions again and again. What are the top three things experienced instructors want to know more about? Chris: The #1 thing experienced instructors want to know about is class design. They want to make their classes more interesting. Often, I’m trying to get them to simplify their classes. I want them to bring the outdoors in. It doesn’t have to be fancy. People don’t jump up and down on the treadmill – they just run. There is no wrong way to design a class if the recovery, intensity and cadence are all appropriate. Thank you so much Chris, for taking the time to share your expertise with us. I’m going to bet that every single instructor who reads this interview will take something new from it that they can implement in their classes. I know I did. Want to follow Chris on Twitter? Find him at @TdotChris.